I think you all know me pretty well, which means you know that I have a great affinity for homemade macaroni and cheese dishes. 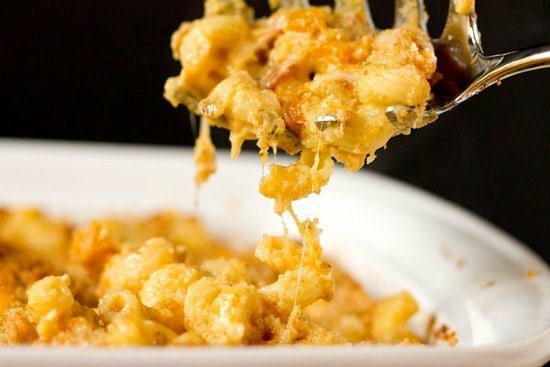 I’ll never turn down a dish of good ol’ mac and cheese, whether it’s homemade, from a box, at a restaurant or in the prepared foods section of the grocery store. Of course, I must prefer making it at home so I can customize it to my liking. 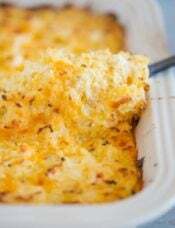 I’ve shared a ton of different recipes here on the site – a basic baked mac n’ cheese, a macaroni and cheese casserole, mushroom-herb macaroni and cheese, stovetop macaroni and cheese, and three-cheese baked macaroni and cheese. I love them all for different reasons, much like parents can’t choose a favorite child. 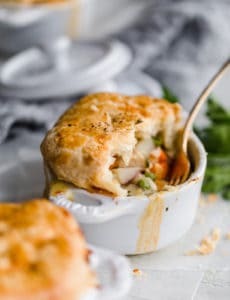 That being said, I have developed some preferences… I love the combination of Gruyere cheese and sharp cheddar cheese, it’s definitely my favorite cheese combo… and I much prefer a baked version over the stovetop. 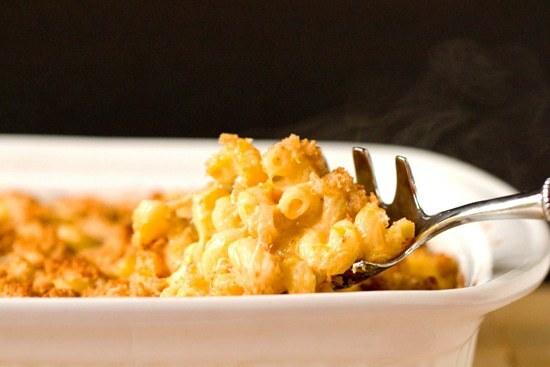 While stovetop versions are uber-creamy, I can’t resist a baked macaroni and cheese with a breadcrumb crust. After taking a trip to the grocery store last week and seeing tons of squash on display, I was immediately smitten with the idea of marrying the flavors of butternut squash and macaroni and cheese (it goes without saying that I’ll add bacon to anything and everything, given the opportunity). 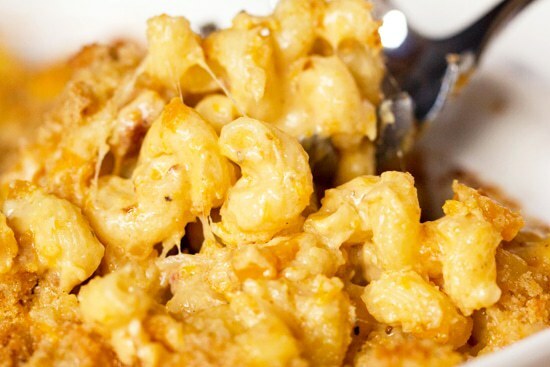 The result is one of the best mac and cheese dishes I’ve ever created! Talk about a creamy, cheesy bowl of heaven! While I immediately knew that I wanted to use butternut squash, I wasn’t sure how I wanted to tackle the macaroni and cheese. Slowly but surely, my deviously delicious plan came together. I added bacon to the mix (because most everything is better with bacon), frying it in a cast iron skillet, and then using the bacon grease to brown and caramelize the onions and butternut squash. I made a traditional white sauce with butter, flour and milk, and then upped the amount of cheese I typically use by just a little bit, enough to amp up the cheesy quotient. 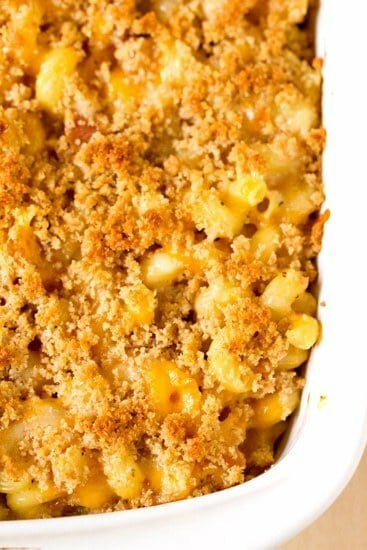 I used my favorite mac n’ cheese pasta, cavatappi, and topped it all off with buttered plain breadcrumbs – perfect for a crunchy topping, but neutral so as not to disrupt the other flavors. Basically, I wanted to eat this for breakfast, lunch and dinner for days after I made it. I guarantee you will as well! While in Florida, I had an absolutely fantastic macaroni and cheese dinner at Yard House. I normally never order macaroni and cheese as a main course while out to eat, but this one was irresistible and it lived up to the hype. 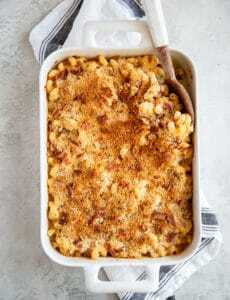 Its recreation is next on my list of macaroni and cheese recipes to whip up at home, so keep an eye out! I also must remember that the Ultimate Mac and Cheese at Grille 36 here in Pittsburgh gets rave reviews; I need to try that the next time I’m there! What’s your favorite variety of macaroni and cheese? Do you prefer stovetop or baked? 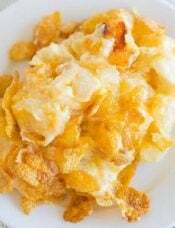 In a 12-inch cast iron skillet (or other heavy, stainless skillet), fry the bacon until crisp. Remove the bacon to a towel-lined plate to drain. Pour off all but 2 tablespoons of the bacon grease. Adjust the heat to medium-low and add the butternut squash and onion to the bacon grease. Cook, stirring occasionally, until the squash and onion are browned and cooked through. Once cooked, use the back of a wooden spoon to mash up the mixture (it doesn't have to be completely smooth - leave some chunks in for texture). While the pasta is cooking, make the sauce. In a large saucepan, melt 4 tablespoons of the butter over medium heat. Once the butter has melted, whisk in the flour and cook for about 1 minute, until the flour starts to brown a bit and smells nutty, whisking constantly. In a slow, steady stream, whisk in the milk. Allow the sauce to come to a simmer. Once the sauce comes to a simmer, stir in 6 ounces each of the Gruyere and cheddar cheeses, adding a handful at a time and stirring with a wooden spoon until completely melted before adding the next handful. Season with salt and pepper and turn off the heat. Add the cooked, drained pasta, bacon and butternut squash mixture to the sauce. Stir with a wooden spoon until everything is completely combined and evenly distributed. Pour the mixture into the prepared casserole dish. Melt the remaining 4 tablespoons butter. In a small bowl, mix the melted butter with the breadcrumbs. 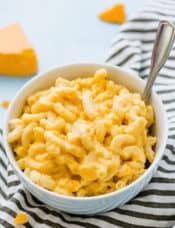 Sprinkle the macaroni and cheese with the remaining shredded cheeses. Sprinkle the breadcrumb mixture on top of the cheese. BUTTERNUT SQUASH comes in so many different sizes/weight. How much did your 1/2 butternut weigh or measure by cup? I usually don’t bother with recipes that state an ingredient in such a way. But I would love to do this one. Hi Syliva, I did not weight or measure the cubes by cup, unfortunately. However, this recipe offers a great deal of forgiveness in terms of add-ins, so I think you would be fine grabbing an average-looking butternut squash at the store! This was SO good! I’ve been searching for a use for this giant roasted squash I had and this was perfect!! Such an awesome way to add some nutritional value to Mac n cheese :) thank you! 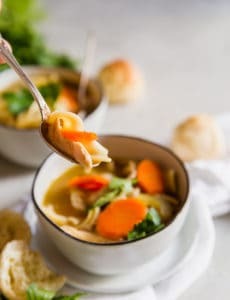 How am I just now seeing this recipe for the first time?! I made it this morning for Thanksgiving tomorrow and am trying very hard not to eat it all right now. So delicious!! Hi Michele, just wondering if I want to freeze this, should I do after baking or since everything is already cooked , can I freeze before baking. Love seeing the pics of the boys! Just made this recipe and it tastes AMAZING!! Your blog is my go to for recipes and this is definitely going to be one thats used over and over!! I just made this for Thanksgiving dinner, and it was a HUGE hit — I’ve already been asked to bring it to the next holiday dinner :) Followed the recipe to a tee (except that I only had salted butter – so I didn’t add any additional salt) — it was so smoky and just perfect. Thank you! Umm, so seriously, this was my happy dinner moment of the month, and possibly the next few months. 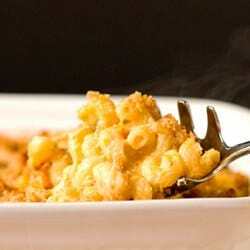 I have been searching for an awesome Mac and cheese recipe for an eternity, but they all fell short. Now, not only is this recipe amazing, but I can cross off one more item on my culinary bucket list of great recipes. Even my anti squash family thoroughly enjoyed third helpings. I had a craving for something butternut squash and ended up with a 3 1/2 pounder! I came across your post and couldn’t be happier!!! As an Italian, I love my pasta! Although mac & cheese is not an Italian thing, I adapted my own macaroni & cheese recipe with a becsiamella sauce that up til now has been my go-to recipe. Since finding your recipe though, I have to agree, hands down, this has become my absolute favorite pasta & cheese recipe ever!!! My husband loved it, and so did both of my kids, until my daughter asked what was in it, haha. I gave a quick run down, minus the squash, but my son, with a mouth the size of Jupiter reminded me the I’d forgotten to mention the squash. Either way, everyone had at least 2 helpings, and we sent some to the neighbors, who also gave rave reviews! Thanks again! Absolutely amazing!!! I just made this recipe Sunday for a football get together and simply HAD to comment. It is hands down the best macaroni and cheese I’ve ever eaten. I used sharp cheddar and colby jack cheese. I cannot stress how delicious this is. 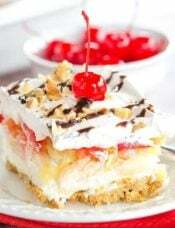 It is a MUST MAKE!!! 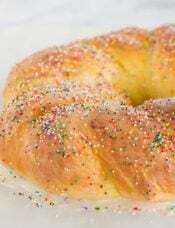 and will have perminant spot in my recipe collection. Delicious please do yourself a favor and make it!!! Can i prepare this the night before and put it in the oven the next day? Michelle, I made this for dinner last night and it was so delish! I couldn’t find Gruyere at the grocery so used 6 oz of swiss cheese and about 12-16 oz of a melty cheddar blend (I increased the sauce by half, I hate dry mac n cheese!) This was absolutely the best mac n cheese I’ve ever tasted. Even the toddler, who questions every ingredient, ate it up like crazy! Love your blog, thank you for sharing! Made this tonight…yummy. Used skim milk and it turned out great. I am a long-time fan of your blog and have loved everything everything that I have made from here! I made this last night for my fiance, and we both LOVED it! In place of the whole milk, I used part Greek yogurt, part milk, and I used turkey bacon and whole wheat bread crumbs (sans butter) as well. So yummy! The squash was just perfect! Thanks for the recipe!! Hi everyone! Just wondering about how much butternut squash you’all used. When I went to the store, the sizes of the squash really varied, so “1/2 butternut squash” could mean a big difference. Thanks to all for your help. We are doing this for Thanksgiving this year. Can’t wait to try it! I’d estimate that the butternut squash I used was around 4 pounds or so. Hope that helps! Thanks, Michelle! I will try for one about that size and use half of it. 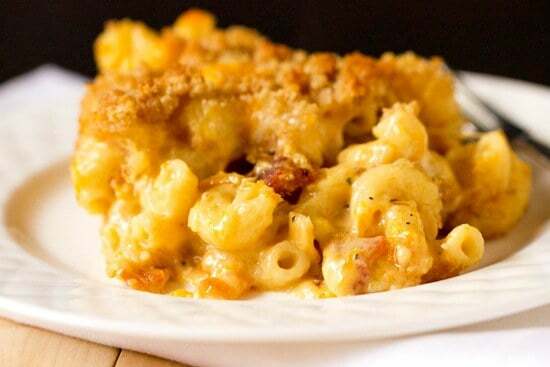 We love mac and cheese, butternut squash and bacon, so what could be better than all three together? Thanks for sharing! 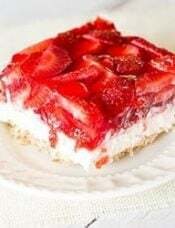 Hi – This looks delicious and I would love to make this for my husbands bday party this weekend. But, I need to make some things ahead of time. Have you had this reheated? Any tips/advice for making ahead? Thanks and I will be checking out your site often for some great recipes in the future. Hi Jen, I did eat this leftover for a couple of days after I made it and it was delicious! I think you could probably assemble this ahead of time, then top with the bread crumbs and cheese before baking. This answered my question too! thank you so much! Hi Mir, I would estimate that the butternut squash I used was about 3 to 5 pounds or so. Hope that helps!